The Rotary Club of Rancho Bernardo is incredibly proud and humbled to inherit a wonderful tradition from the Semper Fi Miramar Rotary Club. We will be presenting the Honor Graduate of every class at the Noncommissioned Officers Academy a sword to commemorate his or her accomplishments. These young men and women, and indeed all the Marines, are so impressive in their dedication and discipline. It's awesome to see. 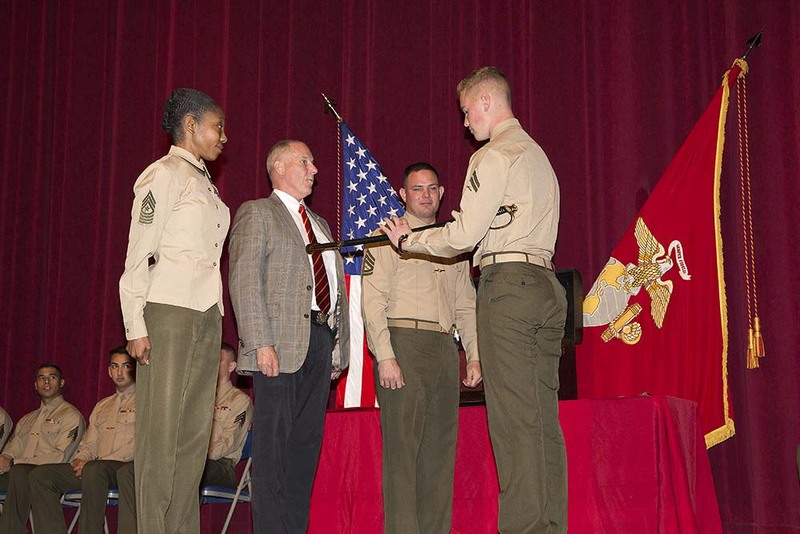 This month our members Mike Stelman, James Kaspar, and COL David King, USMC (Ret) were present to witness the graduation and present the sword. And it was our honor to do so. Semper Fi!